Whether it’s a special occasion, sport fishing or water sports, chartering a yacht for such an activity is a terrific idea. Anyone can avail this kind of facility, as company called Xclusive Yachts is offering wide range of services related to leisure marine industry since 2006. The extensive knowledge and experience of this company allows them to serve their clientele in the best possible way whether it’s a relaxing, peaceful escape or thrilling activity at sea that their client want. Special custom-made packages are also available from Xclusive Yachts that are developed by keeping different requirements of customers. Xclusive Yachts is a premier name when it comes to charter a yacht in Dubai, as this company offers wide array of services besides hiring a yacht. This list also include includes provisions like sport fishing and additional services such as clients can also relish array of cuisines on their yacht, play different water sports, get pick and drop in a luxury transport like Roll Royce Phantom, limo, Mercedes or Audi Q 7 for big groups. In addition to this clients can also get a hostess for spending some extra bucks. Arrangement for cakes, balloons and decorations are also made by Xclusive Yachts to make your special occasion like proposal of wedding or celebration of anniversary even more special, as celebrating such events on yachts make propose or anniversary is a terrific way to surprise your loved one. 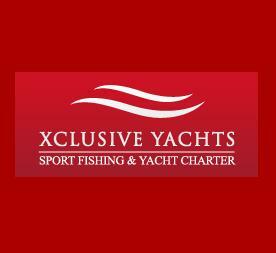 The usual opening hours of Xclusive Yachts are from 9:00 am to 9:00 pm and it opens on all 7 days of a week. Unit 4, Diamond 3, Dubai Marina Drive, - Dubai Marina, POBOX 126012 - United Arab Emirates. There is no metro station within 2.5 kilometre radius of Xclusive Yachts main office in Dubai Marina, so car and bus are the best means to get to this site. Head in the northeast course from this bus stop, then turn left, before making another left turn. 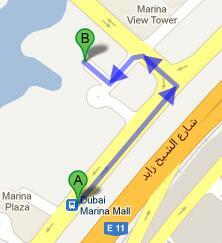 Afterwards make a right turn and you will be standing in front of your destination after covering some distance. See map for directions.